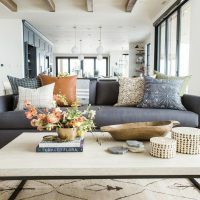 As temperatures get cooler and the days get shorter, sunrooms are a wonderful feature to maintain a year-round connection to the outdoors. They let us soak in the natural light and help lift our spirits. 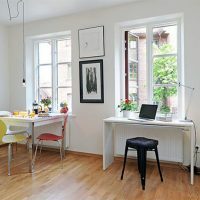 Looking at the most popular sunroom photos uploaded to Houzz in the last three months (as measured by how many people have saved them to their Houzz ideabooks), there are excellent ideas to steal whether you’re building a new house, planning an addition, want to give your existing sunroom a revamp or give another room some sunroom style. 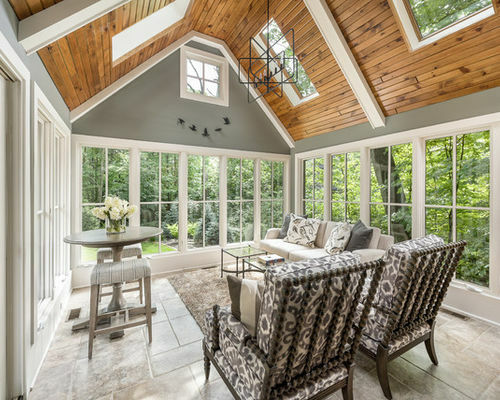 Stained pine wood on the vaulted ceiling of this sunroom plays off the treehouse-like views. Meanwhile, layers of area rugs, a mix of textiles, unexpected soft drapes and bright colors keep things cozy even on Minnesota’s coldest days. Also worth noting in this room is the floor tile. It is a porcelain that resembles vein-cut travertine. 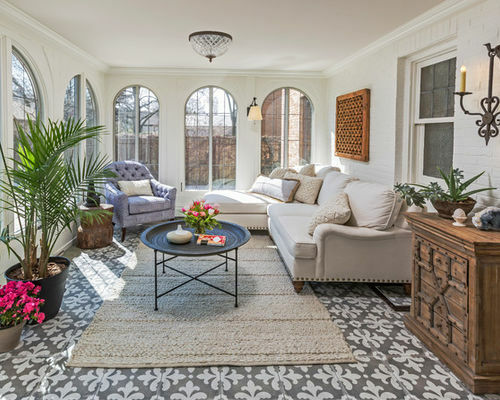 Knotty wood ceilings punctuated by skylights help this Chicago sunroom feel like a loft in the trees. 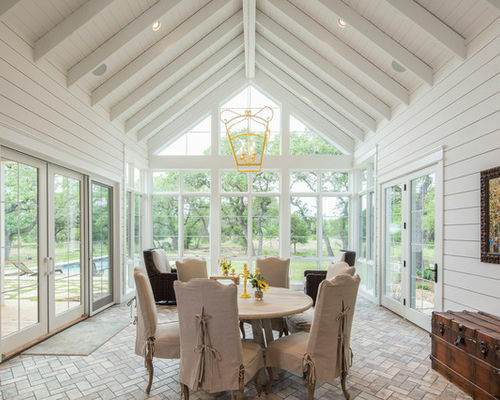 A high, white and airy vaulted ceiling is a good choice for the mild winter climate of Austin, Texas. 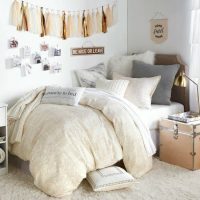 But sometimes high ceilings can feel overwhelming. The large lantern brings it down to human scale, and its yellow color adds a touch of whimsy. 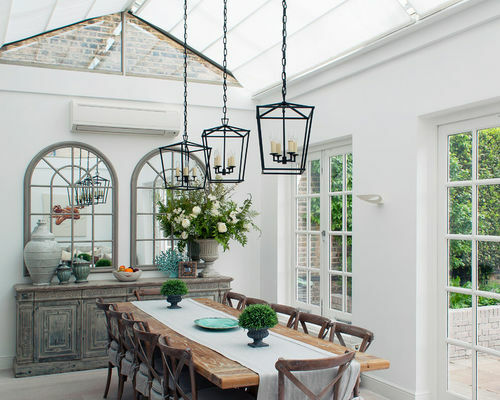 Three large pendants do something similar over the long farm table in this London sunroom. 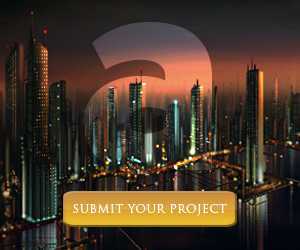 A translucent ceiling and large architectural mirrors keep the space light and bright on even the gloomiest of days. 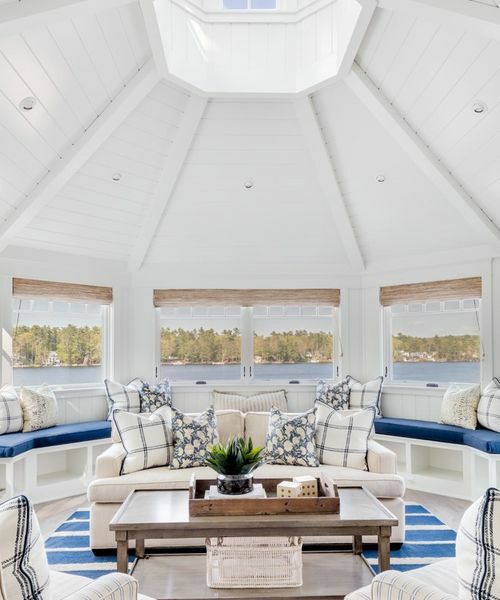 The shape of this space, the placement and size of the windows and the views out to Lake Winnipesaukee in New Hampshire make this sun porch feel like the stateroom on the prow of a luxurious boat. 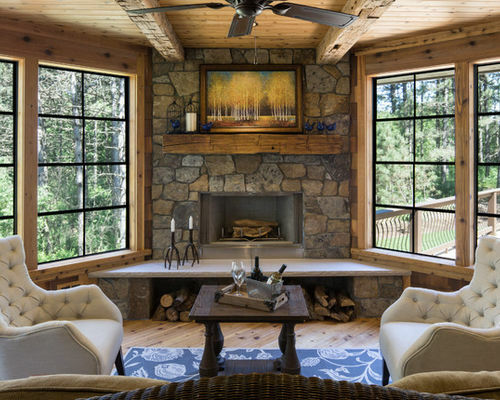 A stone fireplace with an extended hearth is the heart of this Minnesota sunroom. 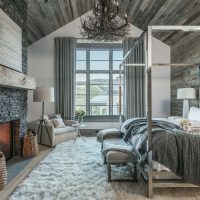 Reclaimed beams, knotty wood, tufted upholstery and a pretty area rug are a blend of homey and restful style. 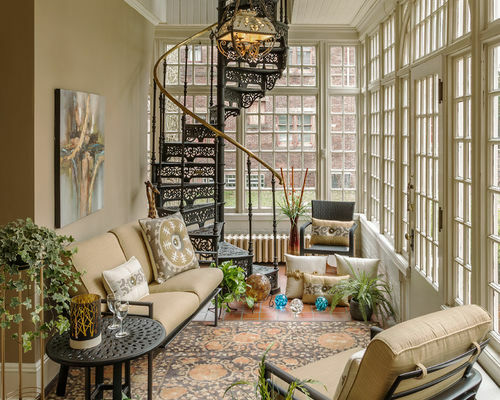 This sunroom has touches of Victorian conservatory style. 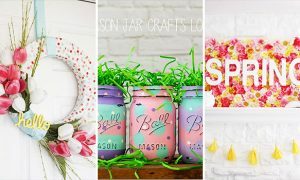 Adding plants is an easy way to make an even stronger connection between indoors and out on a sun porch. 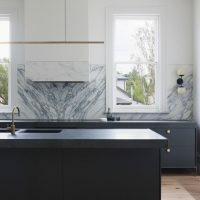 These beautifully patterned tiles have been gaining popularity in kitchens, mudrooms and bathrooms. 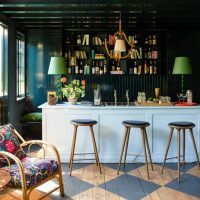 Sunrooms are another strong candidate for using this kind of flooring.